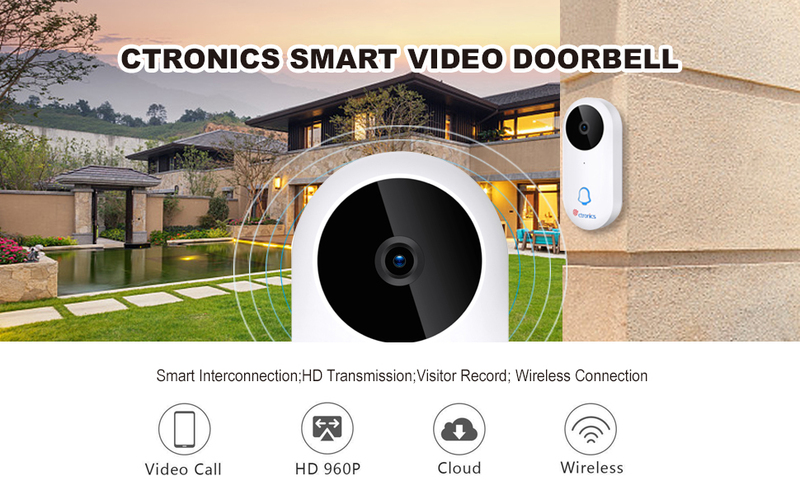 【Two-way conversation with HD 960P video】 Ctronics With the intelligent doorbell, you can watch, hear and talk from anywhere on your smartphone. Watch your home around the clock in HD 960P infrared night vision video. 【Life-Time Free Cloud & Free Indoor Bell】 No 30-day free trials or other subscription plans are required. With Life-Time Free Cloud storage, you only need to connect to Wi-Fi. 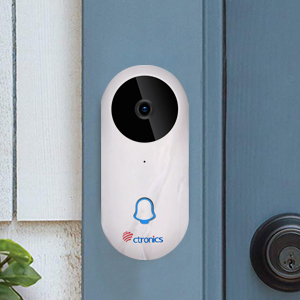 With the Vidoe doorbell, you can connect more than 20 indoor chimes in any room. Compatible with iOS and Android devices. 【IP65 waterproof and energy-saving】 The IP65 rating may work from -10 ℃ -60 ℃ / 14 ℉ -140 ℉. The Smart Doorbell Battery can be charged with a standard USB cable. 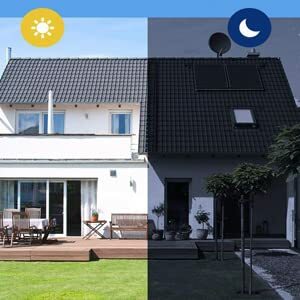 Energy saving and durable, the battery has a maximum life of 3 years (18650 battery included). 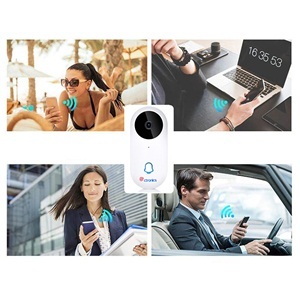 【Quick and easy installation】 Very easy to install, install and set up your smart doorbell in minutes with our included tool, and you can easily connect to your Wi-Fi without having to disassemble walls or door panels. Available for every home with or without existing bell cables. See, hear and talk to your visitors on your smartphone, whether you're at home, at work or on the go. Ask your parcel delivery service to drop off your parcel at the door or fend off burglars trying to get to your front door. With HD video, 2-way audio and cloud recording, you'll always feel at home, even when you're on the move. At night, regardless of the time of day, you can see clearly what is happening on your doorstep. You will receive a free and lifelong cloud storage with us, it is therefore not a trial version or All video recordings are automatically uploaded to the cloud and stored for up to 3 days. This allows you to view, save or share the video at any time. Since the latest update recording directly to your smartphone with the DophiGo app is also supported. 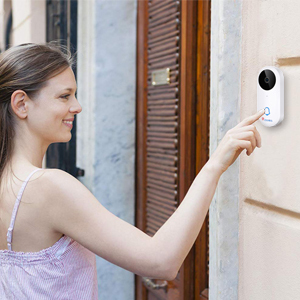 Share your doorbell with your family members' own accounts and let multiple users access the Smart Doorbell. Optionally activated or deactivated. Release access for home helpers or babysitters who can control your home when not present. Save snapshots directly to your phone. Smart doorbell with the doorbell and then immediately get a ringtone as soon as someone rings at your door. The door bell fits into any electrical outlet and can be placed anywhere in your home. Mount our product without professional assembly tools and set up everything yourself uncomplicated. 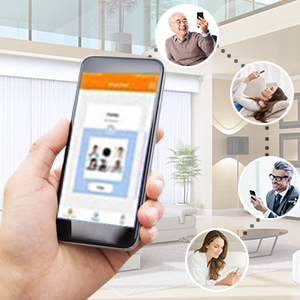 Our Ctronics Easyconnect method offers easy connection of the smart doorbell to your home WLAN network.